The vehicle belonging to the Tamileelam Health Service was damaged in the attack that took place, west of Akkarayan junction towards Mulankavil, at 9th Mile Post. The doctor was from the LTTE's Medical Unit. Two women nurses and the driver were civilian workers employed in Tamil Eelam Health Services. The Claymore mine was detonated from 60 meters distance. Three other explosives were planted in 3 meters distance to explode jointly with the Claymore mine, Police officials who inspected the site explained. 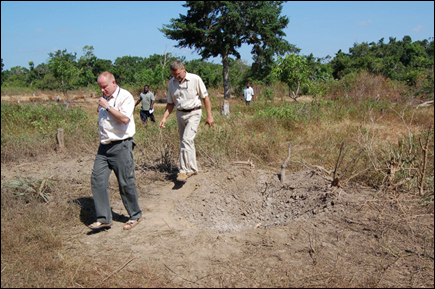 The Claymore mine hit the vehicle which was returning to Kilinochchi after a routine visit to rural villages in Mannar providing medical services, according to Tamileelam Police officials.